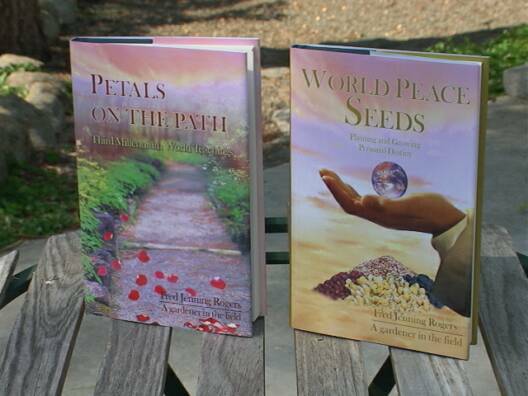 Fred, a gardener in the field, has written Petals on the Path, Third Millenium World Teachings, World Peace Seeds, Planting and Growing Personal Destiny and Journey of the White Robes. 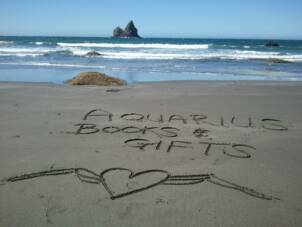 Aquarius Books and Gifts is proud to have one of the largest selection of books by local Authors available in southern Oregon. 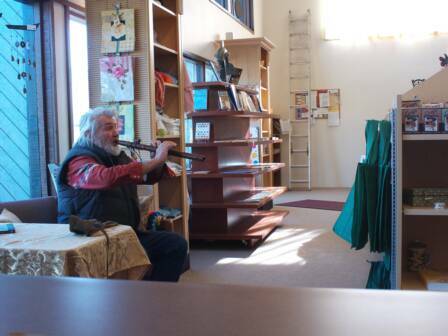 Willy Whitefeather, storyteller, author, artist, backpacker, river runner, survivalist instructor and honorary Cherokee Chief, lives in southern Oregon and delights children and teachers with his frequent talks and workshops. 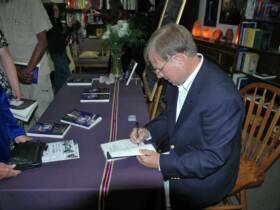 He is the author of the two popular children's favorites, Willy Whitefeather's Outdoor Survival Handbook for Kids and Willy Whitefeather's River Book for Kids. 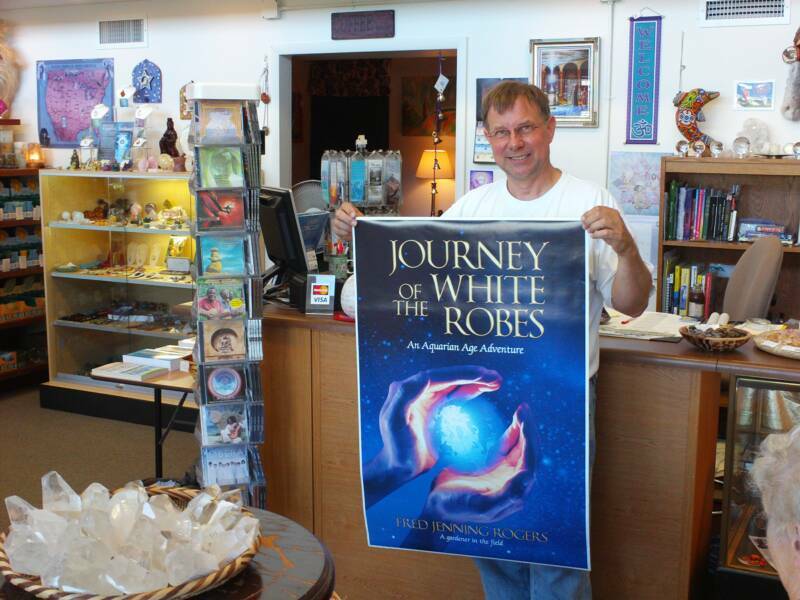 Willy Whitefeather playing his flute during the early days of Aquarius Books and Gifts! January, 2009!